Lunagirl Moonbeams by Lunagirl Vintage Images: Link Up Your Seed Pack Vintage Garden Project Today! 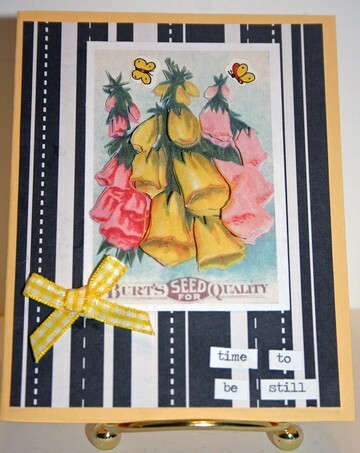 Link Up Your Seed Pack Vintage Garden Project Today! Everyone still has until 11:55 tonight (Central Time in U.S.) to add their creation to the blog challenge! The entries so far are just lovely ~ looking at them all together it truly looks like a lush garden! Take a look at our Vintage Garden and join in for a chance to share and a chance to win the drawing tomorrow for free Lunagirl digital collage sheets. Big thanks and many blessings to Vicki Romaine, who in the midst of a motorhome mishap/adventure has created and sent us one more beautiful seed pack / garden card for inspiration. :-) Look close to see the three-dimensional effect on the flowers... I'll make the picture big so you can see better. I love how several people have used this image in different ways! All to great effect. "I decided to do something a little different with the seed pack image this time. It may be a little difficult to see, but upon looking closely you will see that I made the flowers three dimensional. I printed three copies of the flowers and cut parts out and placed them on top of the original image with pop ups. It really gives the card depth." Hop on over to The Cheerful Stamppad sometime and join Vicki's blog challenges too!